I previously mentioned that I had been fighting an injury. And yep, I can officially claim my first fitness-limiting injury, complete with a snazzy new accessory. Yesterday I tried walking - and possibly walked a wee bit too much! 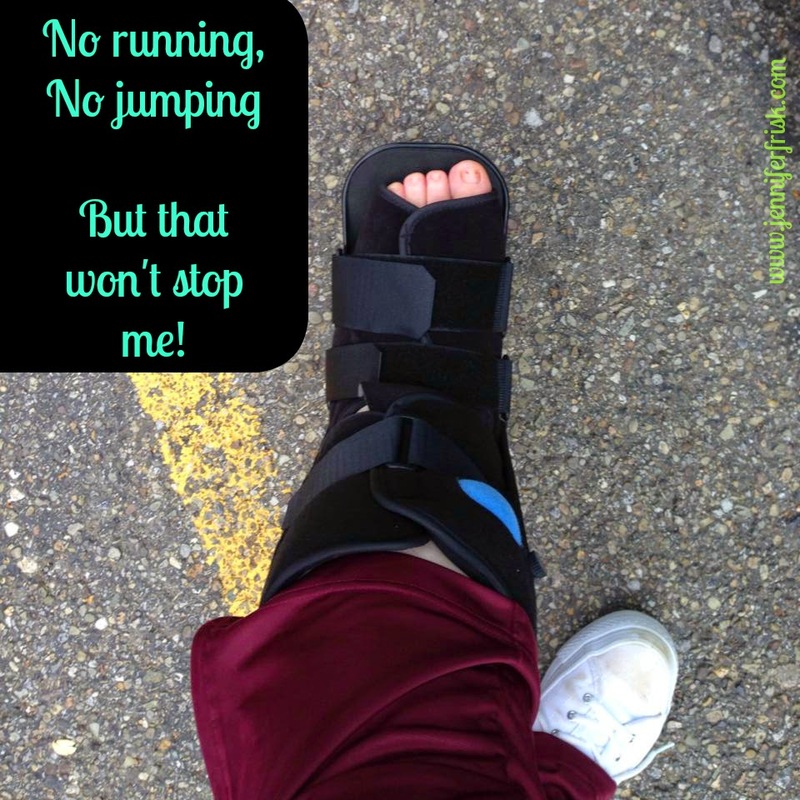 Even with my fancy new boot, I was HURTING and couldn't even take a full step by the end of the day. And I am still hurting this morning, though not nearly as badly. So what's a fit girl to do? Concentrate on nutrition. The 21 Day Fix nutrition plan is foolproof. So this weekend I "hit the books" hard and figured out just which level I'd be at with a lower impact program. I ended up dropping down a level, but there is still plenty of food! 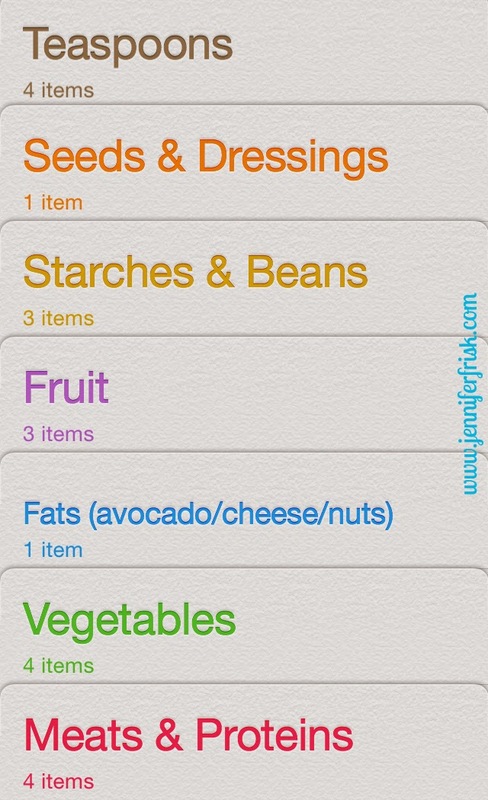 I use the Reminder app to track just how much of what containers I've eaten for the day. It's free; it's color-coded; and I can access it from the phone, my iPad, and my computer. Win, win! Modify, Modify, Modify! I already mentioned how I am restricted from plyometric exercises. Several fitness programs incorporate plyometrics because, well, that type of exercise works! The trick with any type of injury is to modify it to within your ability and to maintain safety. How? If the program has a modifier, start there. Cat - the modifier for the 21 Day Fix - is probably the BEST modifier I have ever seen in a fitness program! Even so, there are a few things I have to change and some others that I just can't do right now. You know what? That's ok. Give me 4 weeks, and I'll knock it out of the park!